1. The Gwangju Prize for Human Rights (GPHR): It carries a cash award of $ 50,000 USD. 2. The Special Prize of the GPHR (SPGPHR): It carries a cash award of $ 10,000 USD. 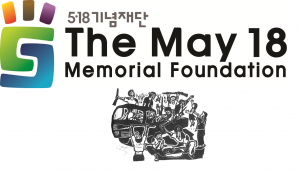 To promote the spirit of the May 18 Democratization Movement, in which the people of Gwangju resisted against brutal military forces for the sake of democracy and human rights in 1980, the May 18 Memorial Foundation recognizes the exemplary efforts of individuals and organizations aspiring to the restoration of justice and human rights in their respective countries through the Gwangju Prize for Human Rights Prize. Since 2000, the Foundation has been bestowing the ‘Gwangju Prize for Human Rights’ to individuals, groups and institutions in Korea and abroad that have contributed in promoting and advancing human rights, democracy and peace in their work. SPGPHR is for an individual or an organization that has contributed to the promotion of democracy and human rights through cultural activities, journalism, and in academic fields. These prizes are awarded by the citizens of Gwangju in the spirit of solidarity and gratitude to those who have helped them in their struggle for democratization and their search for truth. It is hoped that through this award, the spirit and message of May 18 will be immortalized in the hearts and minds of humankind. The candidates eligible for the GPHR or SPGPHR are those persons or organizations nominated by a qualified individual or a qualified organization. A nomination of yourself will not be taken into consideration. The May 18 Memorial Foundation is responsible for the selection of eligible candidates and the choice of the GPHR and the SPGPHR laureates. The selection committee is composed of seven members who are designated by the May 18 Memorial Foundation’s Articles of Association. The rest of the procedure will abide by the Articles of Association. E-mail confirming the receipt and validity of the submitted nomination will be sent out to the nominator once the submission is complete. 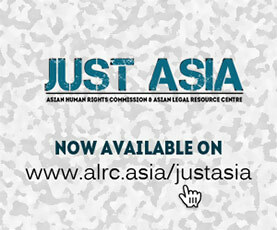 For more information, please visit http://eng.518.org/ or email to gwangjuprize@gmail.com.